It is challenging enough to think of new dishes to cook. Introducing spicy food for toddlers and kids is another task! If you happen to put in a tiny speck of pepper or spice in their food, a mealtime meltdown is almost guaranteed! I followed a few simple parent hustler tricks which made my now 9 years old go from ‘it’s too spicy’ to ‘can I have some more’ in a month! Can Toddlers eat spicy food? Why do most children dislike spicy food? 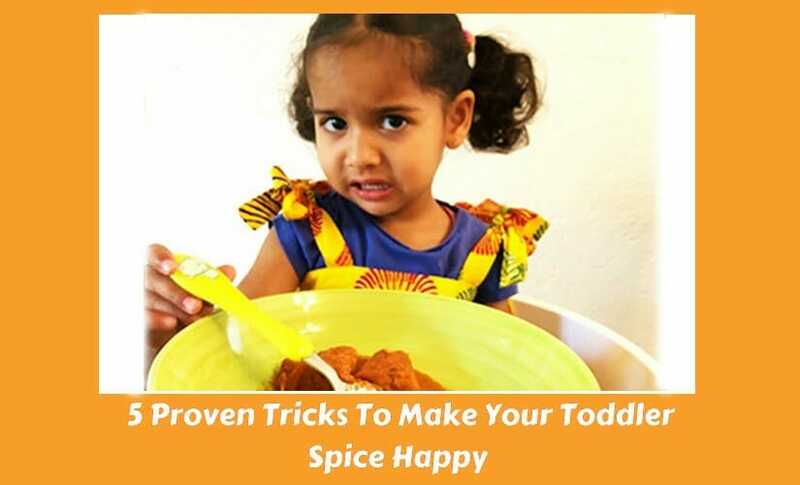 How to get your toddler to enjoy spices? What easy tips can you take to introduce spices to kids? Indians introduce spices very early to kids almost as early as baby stage. By the time they are toddlers, they eat the same spicy food as adults. Anya, my first born was used to basic spices like cumin, coriander, cloves and many others. Besides we fed her off our plates as well so spices were something that she had tasted before. But my biggest problem came when she simply refused to eat anything remotely over spiced and hot on our visits to India. She scrunched up her nose, turned away from the food and asked for some toast instead! My poor mother had to cook two separate meals just to avoid starving her spoilt English born grandchild! And that’s when I realised where I had gone wrong. Although she was used to basic spices, I never brought in heat to the dish. I simply added enough spice to make the dish flavourful, but not enough to give it the spicy hot kick that most Indian dishes have. I find cooking for children most difficult especially if you wish to make them fuss- free eaters, basically a dream child! Not all kids take well to new taste without a little introductory/sample offer. Toddlers especially are very suspicious of everything that remotely looks new or unfamiliar. They will resent it and refuse to try it even though you coax them with a lolly treat after. In my case, Anya was used to basic spices, but she was not ready to take on the added heat which came along with it. So I had to up my game plan and start to mend my way to get her around the ‘Its too spicy’ phase! Children are very fussy and sensitive to tastes. They look an unfamiliar food with disdain and suspicion and I am sure you are familiar with the question answer round that is to follow post a new food entrant. Rather than throwing yourself and them into a battle of words which ultimately leads you to make chicken nuggets and chips; let’s play trivial pursuit with food and earn some brownie points instead! Not all spicy food is hot. Anya was used to spices but not the heat of chillies which turned the fireworks on (pun unintended). While spices are the usual seasonings such as cumin, coriander, cinnamon, cloves etc; heat is something you get when you add hot seasonings such as red chilli powder, pepper, jalapeno, paprika and other spices from the chilli family. Explaining the difference between the two to a child may be a bit too complicated. So set your own spice boundaries with words which explain the type of spicy. In our house ‘Happy Spicy’ is something that has few spices and make your mouth feel happy 🙂 and tummies full. While ‘sad spicy’ is what makes your eyes and nose water and make your face and ears turn red! Which means you may have to eat something else. Introduce levels of spicy to your kids and let them choose which level they are happy or sad with. If your children are not used to any spices other than garlic and onions, which are not spices anyway, then it’s best not to give them a plate of vindaloo and expect them to devour it! It simply ain’t gonna work! Take your time to introduce a few spices at a time. Just like how it was when you weaned them. Start with basic ground spices such as cumin powder, coriander powder, turmeric (which I think you should add to your stews anyway for its many health benefits), garam masala powder, nutmeg, cinnamon powder. Then introduce whole aromatic spices such as cumin seeds, cloves, cinnamon stick, cardamon to name a few and basic whole spices. Fresh ground ginger and mustard paste, although not a spice are very good first pungent, sharp introductory food. Add fresh ginger to your broths, marinates or base sauces. Make mustard dressing, or add to their sandwiches. The slow build up of spices and pungent tastes will help pump their palate and make them more receptive to what is to come. 3. Sneek in Spices – Hush is the word! You may now think, that’s it’s all good and makes sense to take easy steps in introducing spices but you may ask, How do you do that? Well, just the way you have been hiding those greens in the meals! Add them to dishes you are confident that they like and enjoy. Say your toddler likes spaghetti bolognese, add cumin powder or/and coriander powder to the sauce. Add cardamom and cinnamon the next time you make a broth or stew and remember to discard them before you serve. The spice would have infused the broth with its aroma and done its job. Add some cinnamon powder or nutmeg in their pancakes or fish pies! This I would say is the introductory offer. If they really dislike it then don’t force them to eat it. Instead, give it a break and start again. My daughter never liked the taste of paprika and rosemary. My attempts to disguise them in pasta sauce, fish seasoning seemed to have fallen on an oversensitive tongue. So I gave it a rest and added it to her favourite grilled pork ribs! Voila! She could still taste it but I was approached rather somberly to check if it was indeed paprika and rosemary? So you see it does work but it’s not worth pushing after 3-4 attempts. Some people genuinely dislike some tastes, what we are trying to do here is to get them to experience different flavours through spices and not force feed them. Now its time to, crank it up a bit or as I say Spice it UPP! Once the little food critics get accustomed to basic spices start adding tiny amounts of heat into the meals. Add mild hot spices such as paprika powder, pepper, a pinch of red chilli powder or even a dash of chilli sauce. You will find many inspirations on the internet on spicy food for toddlers. Simply choose the one you think your kid may like and hide the heat. Creamy dishes such as cheese, milk, cream or yoghurt based sauces such as macaroni cheese, spaghetti carbonara, creamy pies are a good starting point to disguise the heat of chilli. The idea is not to burn their tongue but instead get them to the ‘happy spicy’ zone. But remember not to disclose the chilli secret yet, they are still warming up. Keep a backup of blandness though. That is spoon up some of the meal before you add any form of chilli to it. It may be wishful thinking if your kid polishes the entire bowl in round one! There may be few battles to fight before you win. Let’s just hope for a draw here! You know how you involve your toddler to bake cookies or cake, do the same with cooking the main meal. The difference here is that they choose which spices to add in their food. The different textures, smells and colours of spices make it a very interesting sensory activity. Just ensure they do not taste raw spices or smell red chilli powder as they may look like cake sprinkles and powdered colour but are far from that. Keep the infatuation with spices on, that is a admire from far. Play a little spice quiz with them and let them feel the spices with their hands. Kids love to think they are in control and knowing what has gone in their food makes them eager to try and taste it. So make them a chef for the day, you can deal with the mess later. Spicy Does Not mean Hot – Before you begin the spice journey make it clear that not all spices are hot. Only spices related to the pepper family are hot. Choose One Spice at a Time. Take your time to introduce spicy foods to your toddler. Start with one spice at a time. Give some testing period and then go for the next. Disguise the Spice – The way to introduce spices to toddlers and fussy eaters is to hide them in their favourite meals that you are almost sure they will eat. Don’t Reveal the Secret – Serve new food by giving them a broader generic name when asked ‘what is it?’. Call is noodles, pasta with mince, soup instead of chicken roganjosh, chilli con carne, pasta arrabbiata. Gradually Increase Hot Spices – Once you are sure that the kids are comfortable with basic spices, start adding a pinch of chilli spices to the meal. Make sure that the quantity is enough for them to absorb the heat. Make them Spice Leaders for a Day – Give them time to get familiar with spices and experiment in their dishes. Show 4 or 5 spices and ask them to select 2 to add to their food. They enjoy being in control and are less likely to throw a food tantrum over their own creation. Remember every child is different. 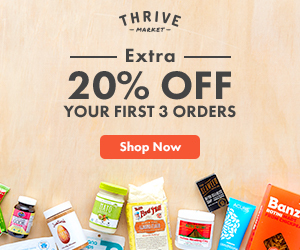 What worked for mine may not work for yours as some toddlers and kids are genuinely sensitive to spices. Getting used to new flavours and tastes is a matter of time and personal preference. Do give them a chance to try it and independence to make their decision to either seriously dislike it or eventually grow used to. So sit back and observe the drama. It takes time to build up taste! Do you have a spice hater in your family? How was your attempt at making them try spices and did you have success? Share your thoughts here, you never know how much we can learn when it comes to taming the shrewd! And as always if you think this article deserves more eyes then please do share by clicking the share and/or save buttons. Avail the convenience to get a range of spices, special ingredients and regular grocery delivered straight to your door without any hassle. These are such great tips! i will definitely be trying them! Introduce early and often is my motto! Absolutely.It becomes a challenge later once they start developing their strong personalities! I love the chef for the day idea! Can’t wait to test some of these out with my kids! It’s a fun experience, something that the kids do really enjoy! Warning about the mess and aftermath though! WOW!Isn’t it amazing how different kids are? My friend’s son too loves spicy and hot food! He can actually eat hotter food than me 🙂 whcih puts me to shame! We added herbs and spices to our daughters diet from the very beginning of weaning and she loves them now! Thats the way to go! Start early, it sure does make them become for adventurous eaters. She is so quite! I’m sure she will eat hot spicy food when she becomes a toddler! That was a great read! I am going to give my niece your website to read since she has a toddler that needs his palate spiced up!! Thanks Elaine! Hope it helps her.